135 x 45 31000 Ft Egyeztetés szükséges! 140 x 45 31000 Ft Raktáron! 150 x 45 31000 Ft Egyeztetés szükséges! The Prolimit Aero golf bag gives you the same benefits as golfers. The Aero golf bag is loading from the top makes it a compact and easy travel bag. The golf aero bag is fully padded 6mm, and is constructed from heavy duty 600D polyester. 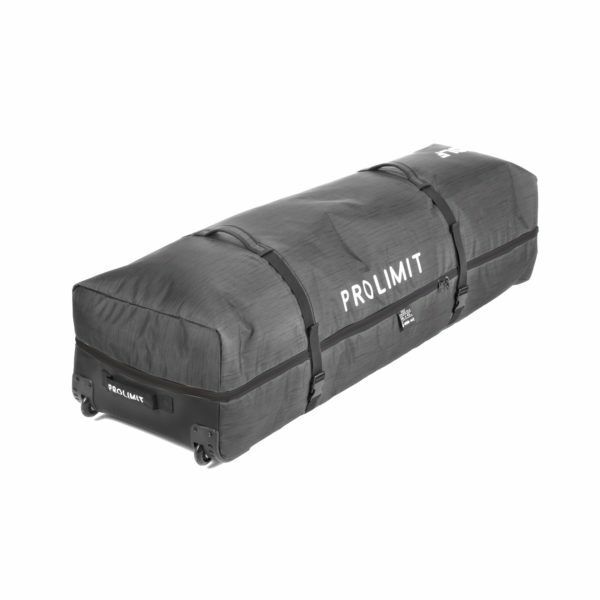 The prolimit golf aero bag comes with a heavy duty non-removable wheel base. Fit’s a complete quiver, 2-3 kites plus board. Kapcsolódó linkek "PL Kitesurf BB Golf Aero Wheeled"
Vásárlói értékelés "PL Kitesurf BB Golf Aero Wheeled"